Wonderful weekend in Pärnu spent Marina and Britney (Raven's Tot Just Dance). It starts to be good tradition that they visit this sweet resort town to have a good time and also to take part in two International Shows. On Saturday judge from Japan - Hiroshi Kamisato appreciated Britney (Raven's Tot Just Dance) up to the BOB with CACIB. 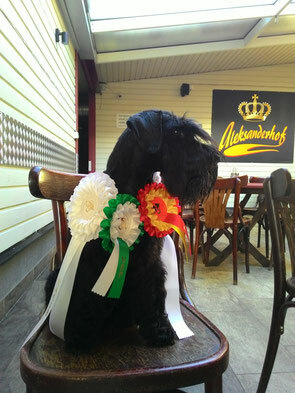 On Sunday judge Viive Maranik from Estonia gave Britney BOS and CACIB.